In one of our previous posts, we discussed the importance of product testing in manufacturing. In this article, we’ll focus on the most common types of electrical tests. Although many of the tests required by safety certifications like UL or CSA are performed at outside testing laboratories, some can (and need to) be done at the factory. Hipot (short for “high potential”) testing is one of them. The most common type of hipot testing is the non-destructive dielectric withstand test. This test involves placing a large voltage (potential) difference between the product’s AC input wires and its enclosure. The current which leaks across the product’s electrical insulation is then measured and compared against an allowed limit. Since the hipot tester subjects the product to voltages much higher than its nominal operating ranges, passing the hipot proves the product won’t present a shock hazard when properly used and maintained. Hipot testing is usually done on every single unit which is powered directly from the main supply, but can also be done on individual high-voltage components like transformers. Continuity testing is often used to verify that cable assemblies are built according to the drawing. This type of test can be done both manually and automatically. If done manually, a technician sets a digital multimeter (DMM) to resistance mode, touches one DMM probe tip to one pin of the assembly, while placing the other probe tip on another pin in the same cable harness. If those two pins are electrically connected, a very low resistance will be displayed by the DMM. Just like the hipot test, the measured resistance must fall below a specified value (usually explicitly stated in the cable drawing). Although the maximum resistance of a “good” connection is largely dependent on the length and gauge of the wire(s) connecting the two pins, good continuity is usually less than 2ohms. Continuity testing can also be automated by using a cable tester fixture. These often use IC chips and custom made interface boards to very rapidly test every single electrical connection in the harness. As is the case with almost any automated process, the initial set-up costs for automated cable continuity testing can be high. However, if the volume of tested harnesses is high, the resulting cost per assembly can be quite low due to quicker testing compared to a manual pinout test. PCBAs can also benefit from continuity testing, particularly when it comes to finding electrical continuity where there shouldn’t be any. Sometimes defects occur during PCBA manufacturing which can create an unwanted path for current and even short circuits. These assembly defects include solder splash, solder bridges and unremoved flux which has become conductive. If these short circuits occur between a voltage rail and a point connected to ground, overheating and irreversible damage can occur if that board is powered on. Checking for shorts between a board’s ground and voltage supplies can save a lot of money in repair and rework costs. Continuity testing on PCBA’s, just like with cable harnesses, can be performed both manually and automatically. Both methods are made a lot easier when the PCBA includes test points, which can take the form of either empty vias or metal posts. 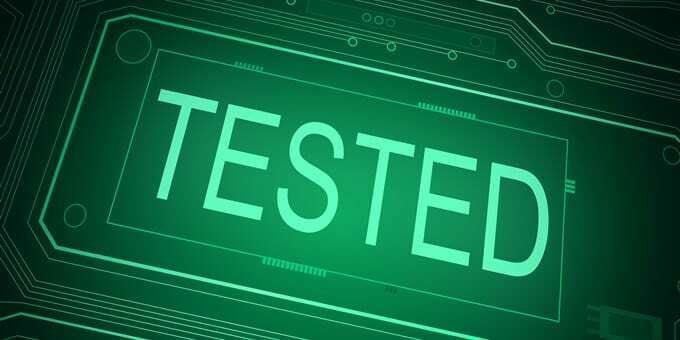 Test points are also good for another kind of electrical test which is performed when the unit under test (UUT) is powered on: confirming that all the board’s self-generated voltages are present and within the design specifications. For low volumes of PCBAs, both resistance and voltage checks can be performed manually by a test technician and DMM, or semi-automatically with a custom test fixture equipped with pogo pins which make electrical contact with the UUT’s test points. When large volumes of boards need to be tested, flying probe automated tests are used. Although flying probe testing is automated, the process can still take some time, which is why almost all electrical testing, including flying probe, is done on only a sample of units. Sampling and statistics can help you make wise trade-offs between the cost of testing, probability of failure, and the cost of failure. Due to high volumes and extensive use of automation, modern manufacturing relies heavily on validating the processes by which the products are made as opposed to testing every single unit which rolls off the line. This validation involves verifying the production and testing equipment work (by calibrating them to some standard) and proving that the processes are repeatable, consistent and verifiable. Hipot, continuity and flying probe testing are just some of the electrical testing capabilities we at Providence provide our customers. By combining board and box assembly together with testing, we provide a complete electronics contract manufacturing solution under one roof.